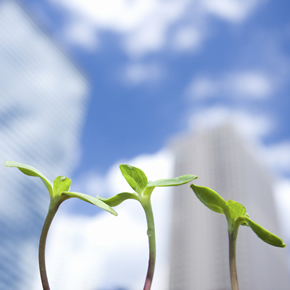 Blogs » Green Building: The Change the Construction Industry Needs? This article is courtesy of RJ Lifts, where a deeper look is taken into how the industry is affecting our planet, which materials should be better utilised and how green building could potentially be the answer to many of our concerns. “As we all know, buildings play a huge part in the economic development of a city along with creating jobs for its citizens. The design process for any building facility is complex, and even more so when discussing how we can minimise the environmental burdens. With global warming at an all-time high, business owners, and similarly investors, are becoming increasingly aware of how natural resources are being gobbled up by the industry along with the alarming rate in which pollutants and waste are being generated. How Does Building Construction Affect the Environment? Ultimately it’s difficult for everyone involved in the process to be completely aware of the specific environmental impacts that are emitted or embedded during the construction of new buildings. It’s not only the materials and methods involved in building construction that directly affects the environment, but also what the sole operation will be once completed. As an example, using purely non-sustainable materials during the construction of a new building has a temporary negative effect. The use of a standard HVAC system also has negative effects environmentally that are more long-term. If all parties involved in the construction process were to be offered better insights into the environmental impacts of traditional materials – clients, contractors, design team members and CEO’s would have the ability to select materials they deem suitable whilst beginning to understand what classes as ”green building materials”. Not only is green building most friendly to the environment, it actually holds many other important long-term qualities. According to the Earth Institute, 40% of the construction industry’s carbon dioxide emissions originate from the production of cement alone – image how much this figure would increase when including all materials? With that in mind, we’d like to go into more detail regarding the benefits of green building materials, but firstly it’s important for us to understand how traditional methods of building construction directly affects the environment and how they have contributed to the major climate change we find ourselves in today. According to the U.S. Green Building Council, buildings account for an average of 41% of the entire world’s energy consumption. The two other large consumers (thankfully) don’t even come close. The industrial industries account for 30% while transportation rounds up to 29% of global energy use. The one factor that defines such a gap is the mass amounts of electricity that buildings power through. In the US alone, buildings account for 73% of the country’s electricity consumption. Building construction is responsible for masses of greenhouse gas emissions that in turn have been affecting climate change. In fact, all buildings are responsible for 39% of all carbon dioxide emissions. The industry is also held responsible for an overwhelming percentage of the world’s water consumption, both utilised and wasted. It’s estimated that buildings use up towards 13.6% of all portable water, works out around 15 trillion gallons of water annually. Although glass and plastic fall under the recyclable title, these materials usually end up tipped in landfill or disposed of via incinerators onsite. These activities contribute to both land and air pollution, and that’s before we take into account the transporting the waste – this holds its own environmental risks. According to the Environmental Protection Agency, there were 170+ million tons of debris generated in both demolition and constrution of buildings in 2003 – 61% of which were generated by non-residential buildings. With facts and figures that lie heavy, what can be done to ensure a financially viable and more environmentally friendly solution for all? The Environmental Protection Agency also states that close to 170,000 commercial buildings are built each year, whilst an additional 44,000 are demolished. The US government has therefore increasingly emphasized a growing need for “green construction” during policy deliberation, which lead on to the creation of valuable programs such as LEED (Leadership in Energy and Environmental Design). For those not fully aware, LEED is a rating system that has been designed by the USGBC (The U.S. Green Building Council) created to evaluate the environmental impacts and performance of a building to therefore be able to encourage future sustainable design and construction. * LEED Gold certified buildings (examples include Pasadena City Hall and King St. Station, Seattle) use 25% less energy and 11% less water than a “non-LEED rated” building. * A LEED Gold certified building also holds 19% lower maintenance costs over a “non-LEED rated” building. * A LEED Gold certified building on average creates 34% less greenhouse gas emissions. * Green buildings consume fewer resources. LEED projects divert more than 80 million tons of waste from landfills every year. * Green retrofitting lowers operating costs. The USGBC estimates operating costs will reduce by an average of 9% in one year and as high as 13% over five years. Many construction businesses are increasingly becoming aware of the importance of green building materials. In 2017, USGBC also estimated that 40-48% of all new non-residential construction will be green. For a further insight, back in 2015, over 13.8 billion square feet of building space had been officially certified on the LEED register, compared to a smaller 2% back in 2005 – as the old saying goes, a lot can happen in 10 years! We’ve outlined the important factors that green buildings hold environmentally speaking – but did you know it’s also beneficial to those who work in such spaces? Future construction projects are investing in new ideas, such as green building, and more traditional materials. With that in mind, it seems like a good way to end by mentioning the benefits of, drum roll please, Steel (now also known in the industry as the “EnviroMetal”). The material was crowned such a nickname due to becoming the most recycled metal on earth. This statement particularly applies to the production process – did you know that construction steel (one of the lower grades of steel) is in fact 100% recyclable? As a bonus, steel can be recycled over and over again without losing any quality or desirable properties. According to the Steel Recycling Institute, it is estimated that 95% of steel in the construction industry is recycled successfully as well as an 85% recovery rate from consumed construction industries. Green Building is transforming the construction industry for the better and the future is looking bright. For the first time in a while, more businesses are choosing to build new over renovate, are prioritising energy expenditures and most importantly recognise that change is a good thing. Being in architect, one of my passions and dreams is to decrease the humans carbon footprint on our earth through, design, construction and materials. It is great to see other similar industries having the same goal in mind. Most architectural rendering services strive for the same as well.